Thorne & Derrick stock a full range of heat meters and distribute for Kamstrup, Itron, Sontex and Sensus. Please contact us to discuss your heat meter requirements and request a quote. T&D can also supply RHI heat meters which comply with the domestic and/or commercial renewable heat incentive scheme. The RHI is a government established scheme that offers financial incentives to commercial and non-commercial users that are generating their own renewable heat. The RHI scheme sets out the eligibility parameters for users wishing to claim financial incentives and the requirements of any measuring instrument that is permissible for the RHI. For a heat meter to be RHI permissible it must comply with class 2 accuracy ratings. This requires the heat meter to comply with the relevant requirements set out in Annex I to the 2004 Measuring Instruments Directive (MID)2 (2004/22/EC), comply with the specific requirements listed in Annex MI-004 of the MID and fall within accuracy Class 2 as defined in Annex MI-004. 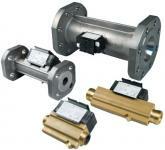 The MID sets the requirements for a number of measuring instruments and covers heat meters. MID requirements in Annex I include allowable errors (accuracy classes), durability, resistance to disturbances, and inscriptions and markings. These components can be purchased together as an integrated heat meter or as individual components/sub-assemblies and can be brought together as part of the heat meter system.If components are brought together individually, the user must ensure they are suitable for use under the RHI. A heat meter that has been comprised of individual components which all meet or exceed class 2 requirements i.e class 1 would be accepted as meeting the class 2 requirements under the RHI. However if each component does not individually meet or exceed class 2 requirements then the RHI regulations are not met. It is the responsibility of any participants to ensure that class 2 heat meter used for RHI purposes is designed for the heat conveying liquid used by the heating system. 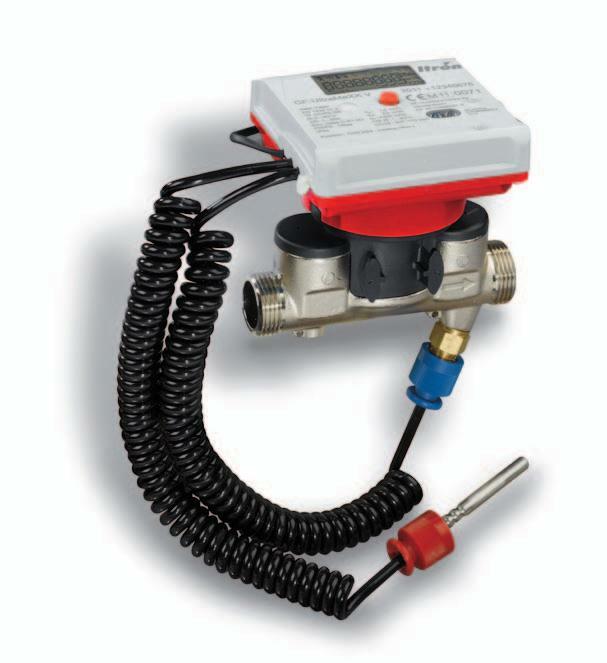 In order for this to be achieved a heat meter requires components that are able to measure the flow rate of the liquid and the temperature difference between the flow and return pipes. The flow rate can be measured by a flow meter or flow sensor and the temperature difference can be measured by a pair of temperature sensors or thermocouples. In addition to the temperature and flow sensors, a heat meter must also have a heat calculator (also known as an integrator or digital integrator). This uses the flow rate and temperature difference measured to calculate and display the amount of heat generated or used. This is typically given in units of kilowatt-hours (kWh). 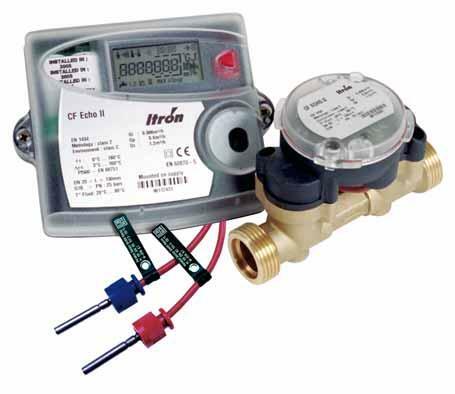 Itron heat meters are world leaders in providing comprehensive solutions that measure, manage and analyse energy and water, including heat meters and thermal energy measurement devices. Itron have thousands of employees and customers in more than 100 countries. 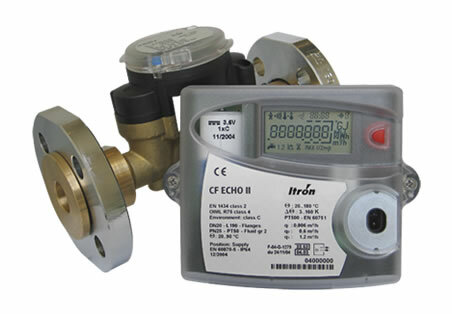 The Itron heat meter range includes RHI approved meters such as the Itron CF Echo II, the CF-UltraMaxx V and the CF55 heat meter. Kamstrup heat meters are a high technology company based in Denmark, producing system solutions for heat and energy metering. Kamstrup are represented in more than 50 countries and have a strong international presence. The Kamstrup heat meter products are MID Class 2 approved allowing them to be used in renewable heat incentive scheme applications. Sensus heat meters pride themselves on being at the forefront of technology with nearly 1,000 people in Europe dedicated to the utility sector. Sensus heat meters include the Pollu range which are suitable for the RHI scheme and both heat and cooling applications. The Sensus PolluTherm is one of the most advanced heat calculators and can be used with any mechanical or ultrasonic flowmeters. Founded in 1989 and based in Switzerland, Sontex manufacture heat meters and thermal energy measurement instrumentation and distribute throughout Europe, North America, the Middle and Far East Asia. As an export-orientated company, Sontex ensures the development of their heat meter products always adhere to the relevant national and international guidelines. 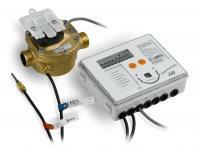 Most of the Sontex range of heat meters provided are RHI compliant. The Renewable Heat Incentive (RHI) is the world's first long term financial support programme for renewable heat and was introduced in November 2011 for non-domestic applicants and April 2014 for domestic applicants. The RHI scheme pays participants of the scheme that generate and use renewable energy to heat their buildings. The generation of heat from renewable sources helps to reduce greenhouse gas emissions and to meet targets for reducing the effects of climate change. Non-domestic applications provide payments to organisations within the industrial and public sector as well as businesses. Domestic applications can be made by homeowners, private landlords, social landlords and self-builders. Over a period of 20 years for non domestic buildings and 7 years domestic applications, the government (via Ofgem) will pay owners of approved systems for each kWh of heat generated according to a set of published tariffs. Heating systems must be heat metered according to the RHI standards in order to be eligible for such payments. The Renewable Heat Incentive (RHI) policy document sets out the detailed arrangements for this scheme, which will provide long-term financial support to renewable heat installations to encourage the uptake of renewable heat. are able to offer a number of RHI compliant heat meters to suit a wide range of client requirements.